My baby girl just turned 1!! I can't believe how fast time flies. She shares a birthday with her cousin who was born a few hours after her, so we had a combined party. As with tradition, we had a fun elephant party. For our guests, we served this yummy 1 Cake. 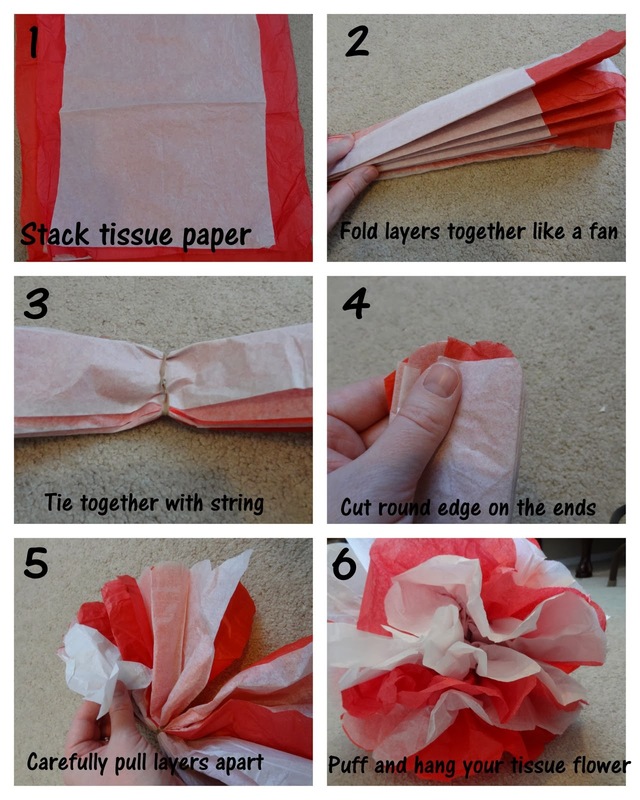 It was super simple and the directions are below. For decorations, I wanted to keep them inexpensive, but still cute. So I blew up pink and grey balloons and used a needle and thread to sting the balloons. Then draped them. I always seem to have tissue paper, so I made some fun pom poms. This is super simple and a great way to decorate. Here are the directions. 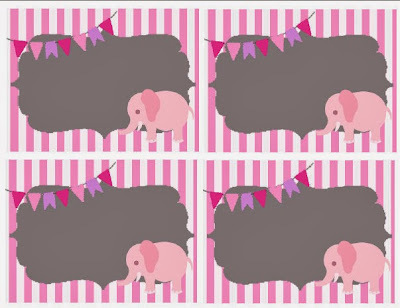 I also created this elephant bunting. And I decided to share it with you for FREE! Just click on the picture or HERE to download your own! 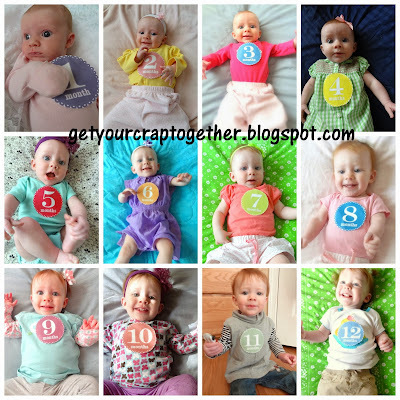 For a little something special, I created a collage of my baby girls first 12 months with her onesie stickers. I printed it and put it in a frame. Everyone loved to see how she had changed over the year. Check out how to make the collage HERE. I think the table turned out very nice!! 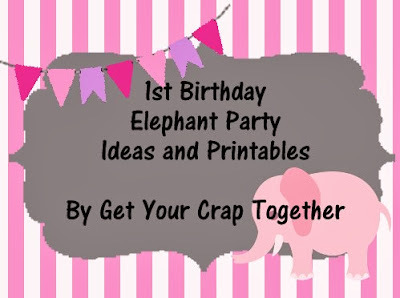 Finally, a few extra printables. Here is the template for our invitation. Click on it and you can download and create your own. 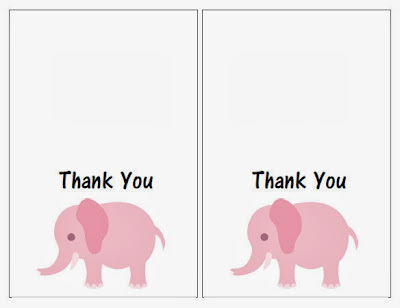 Here are some thank you notes to send for gifts and guests. Get them HERE.